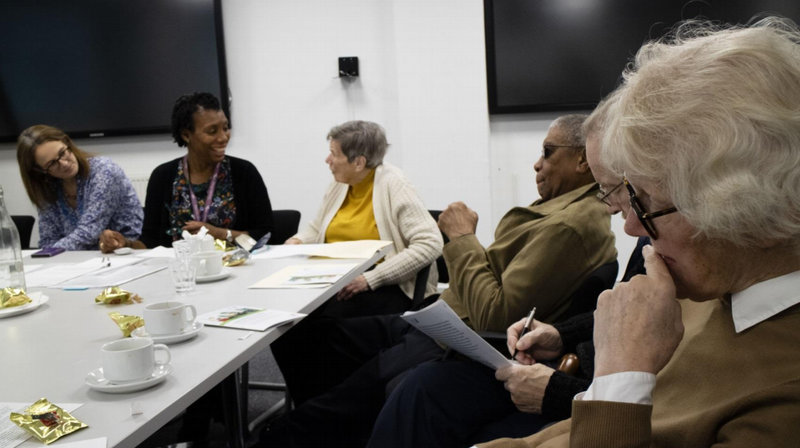 In this week’s blog, Frances Eley, 91, talks about why the Older People’s Advisory Group in Camden is essential for older people in the borough to have their say on issues affecting them, to meet are share information, and to influence the Ageing Better work in the borough. Frances is very involved in community organisations around Camden, including Kilburn Older Voices Exchange (KOVE) and St. Pancras Community Association. 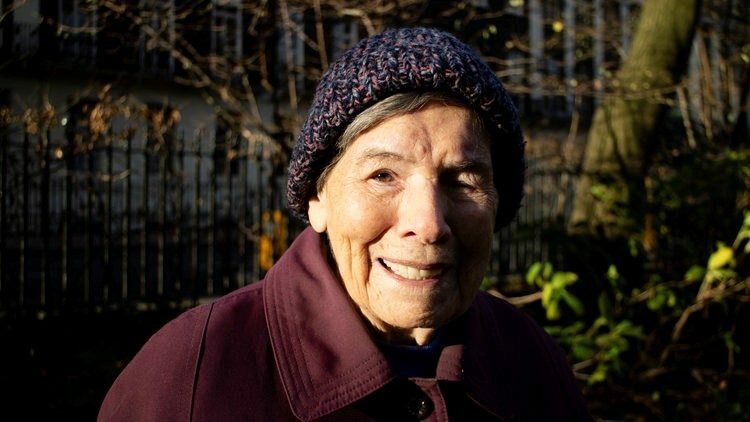 She is a long-standing member of the Camden Intergenerational Network and was part of the panel that appointed Age UK Camden to take the lead on Ageing Better in Camden. Frances is currently writing her life story. Ageing Better in Camden is a partnership of older people and Camden organisations, working together to tackle social isolation and loneliness among older people. It is a part of Age UK Camden. We draw on existing skills and resources in the local community to tackle social isolation and loneliness. We are one of the fourteen National Lottery Community Fund Ageing Better programmes, working across England. Our Older People’s Advisory Group meet monthly to help shape the Ageing Better in Camden partnership. Meetings are open to all older people in the borough. Every month they discuss topics relating to older people and meet with decision makers to give their views on things happening across the borough from transport to counselling. “I was on the panel that appointed Age UK Camden to be the leader of Ageing Better in Camden; I was on the board of St. Pancras Community Association and KOVE at the time. I am involved because you get to know about what other areas are doing, and it’s nice to meet people of our own age who are in the same boat. Some people are quite lonely, quite alone, and this is the only platform they have to get their voice heard. And that is the idea – that everyone has a say. Before this group, a lot of older people had ideas that they couldn’t express. There are a lot of lonely people, there still are. We’ve all learnt a lot of new things. It would be a great pity if the group didn’t continue and a lot of people would be lost without it. We learn about things going on and get co-opted into other groups and meetings. Lots of other things I wouldn’t have been involved in without this group. Read the full report on Camden’s Older People’s Advisory Group, and find out more about Ageing Better in Camden. Lydia is the Communications and Influencing Officer at Ageing Better in Camden, a organisation that aims to help older people to reconnect to local networks, strengthening their communities and improving their wellbeing.